Log home plans are the essential first step in building a log cabin. With their roots in the love of nature and a nod towards the rustic lifestyle of the American frontier, log cabins are growing in popularity. If you are in the process of buying land, you need to get an idea of what sort of log home you want to build. Whether it’s a mountaintop retreat, a lakefront fishing cabin or a riverside vacation spot, your dream log cabin requires the proper planning and preparation. Sorting through all the cabin plans online to find your dream cabin floor plan can be daunting. Log Cabin Hub has put together a nice set of basic plans for several tiny cabins and also a 2-bedroom and a 3-bedroom cabin. 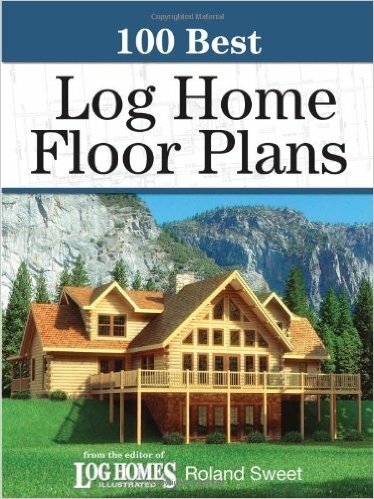 These log home floor plans can be downloaded for free to get you started. With cabin plans in hand you can easily visualize the project and can begin planning the steps to take towards your dream log home. You may be planning a small cabin for hunting in the woods or a weekend getaway and just need a one or two bedroom cabin plan that will serve as a base for your outings. We can direct you to the best source for small cabin plans with one or two bedrooms that will keep your costs down. Check out our free small cabin plans page for some simple designs that you can download and print to get you started. Your dream cabin may also be a larger log home with rooms for the grandkids to come and visit you in the mountains. A good set of properly-drawn log home floor plans will ensure that all the important cabin design parameters have been met and you can move ahead with confidence knowing that a professional has evaluated your log home plans. Buying your cabin plans online will save you time and money. But how do you know you’re getting the best plans? It’s important to deal with professionals who have experience with building log homes and cabins and who can address the unique issues that come with cabin construction. By doing your research you can learn what it is you're looking for in your ideal floor plan. Most log home plans can be easily modified to suit your specific needs. 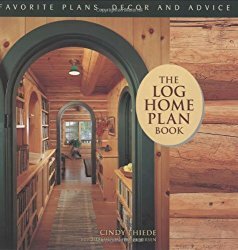 Thirty fabulous log home plans-the favorites of builders and designers, selected form across the united states. More than just renderings, each floor plan is illustrated with beautiful color photographs of the landscaped exterior and fully styled interior. Weaving pictures and plans together are valuable information, advice, and planning tips from the people who design and build log homes. Surveys show log home floor plans are the favorite sections of industry-leading magazines including Country's Best Log Homes, Luxury Log Homes, Timber Frames, Log Homes Illustrated, and Timber Homes Illustrated. From thick and powerful logs framing the structure, to the rustic, yet classic feel of a log home with a fire in the hearth, there's something magical about a log home. A nod to a simpler time, today's log homes achieve "pioneer" without being primal, and it all begins with the floor plans. 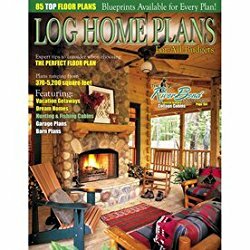 Take the time to peruse 100 of the finest log home plans on the market today, accompanied by 300 spectacular exterior and interior color photos in this exciting guide from log home experts. Turn to this guide for inspiration and insight with complete confidence that you're getting the best the industry has to offer." Log Home Plans Features a broad assortment of beautiful log home plans in a variety of styles and sizes Includes the River Bend Fishing Cabin Collection Features beautiful color photographs. 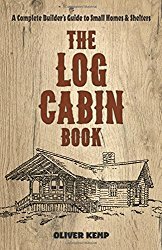 This vintage guide from over a century ago offers timeless, practical advice on building log cabins. Plans and directions for simple structures are easy enough for amateurs to follow; time and inclination are the only necessary elements. Each of the designs has been tested and allows numberless alterations to suit the builder's tastes and requirements. Instructions range from selecting a site and safe, efficient methods of cutting down trees for building materials to building an ice house and boathouse to furnishing and decorating interiors. Photographs and drawings provide clear images for a variety of wilderness homes, including floor plans for The Block House, Wildwood, Crow's Nest, Idlewild, and other rustic retreats. Rich in nostalgic charm as well as useful applications, this manual offers priceless guidance to handymen, woodworkers, and hunters as well as those interested in small houses, construction, and home history and seekers of off-the-grid, environmentally friendly living. This selection of log home plans should give you an idea of the many possibilities that are available for your dream log cabin. Utilize the expertise of a log home professional who has experience with drawing cabin plans to ensure that the unique issues of both large and small cabins have been adequately addressed.